Author Farmer AdamPosted on June 20, 2013 June 21, 2013 Categories 2013 CSA Season, CSA Box, Farm UpdatesLeave a comment on Here Comes Harvest Season 2013! 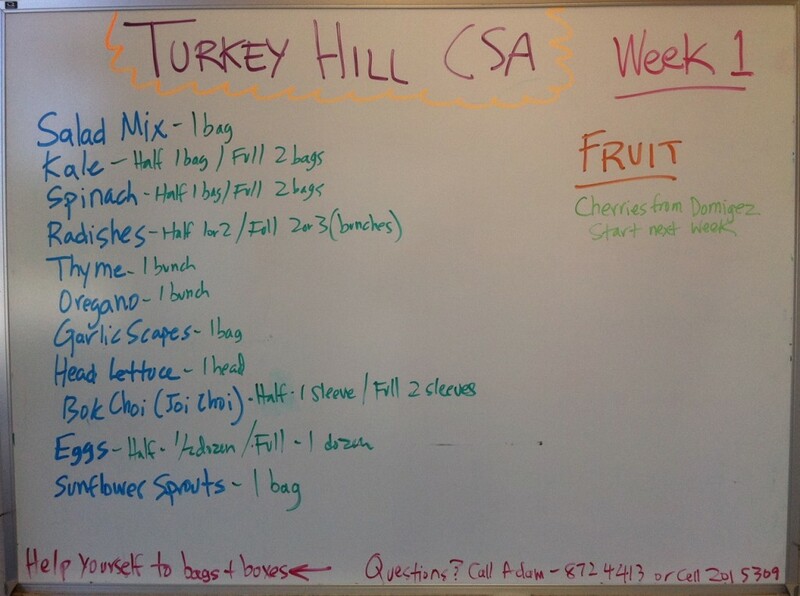 2011 CSA Newsletter, Week 6 – off to the river! Author Farmer AdamPosted on July 28, 2011 July 28, 2011 Categories 2011 CSA Season, CSA Box, Farm UpdatesLeave a comment on 2011 CSA Newsletter, Week 6 – off to the river! All of the rainy, overcast weather we have had over the past few weeks has kept the spring crops growing while we wait for the summer crops to hit.